Have you taken a “30,000-foot view” of your finances lately? Is it positioned for the growth, strength, stability and cash flow you desire? To help you answer that, let’s examine asset allocation and diversification. First of all, let’s define a couple of key terms. Asset allocation and diversification are not the same thing, although they both help with the problem of excessive risk that is created when you “have all your eggs in one basket.” Next, we’ll look at what those terms typically mean in “common financial advice,” which will let us notice what may be missing. Lastly, we’ll present a NEW model for achieving greater balance—and better results—with YOUR money! Asset allocation refers to investing in different asset classes. “Typical” financial advice tells us that the common asset classes (where you should put your money) are: 1) stocks, 2) bonds, and 3) cash. Typical advice tells us that stocks are best for long-term growth and that is where most people should have most of their money. We are told that bonds provide adequate balance to the risk of stocks, and that the older you are, the more you may want to have in bonds versus stocks. Lastly, typical advice tells us that cash vehicles such as savings accounts, money market funds and bank CDs should make up the remaining (very small) balance of your assets. Of course, there are big problems with this limited asset class model. Bonds are no longer the safe haven they once were. Stocks aren’t the only valid or the safest growth strategy. Most cash options haven’t been performing well and represent too small a portion of most portfolios to provide any real safety. And the options are simply too few and narrow. some “safe” municipal bonds, perhaps in a classic US city (like Detroit). cash in a bank account that’s depleted through inflation or even threatened by an asset forfeiture scandal. a million-dollar property (perhaps in an area subject to hurricanes or forest fires). a cryptocurrency, such as PayCoin (which hit bottom after a promising start). cash equivalents, using more than one savings institution for short-term cash and multiple insurance companies for long-term cash. Non-correlated growth and cash flow strategies apart from the stock market. 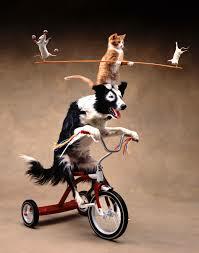 Typical asset allocation models try to focus you only on the limited assets that banks or brokerage institutions sell. The pervasive debate about “how much should you have in stocks vs bonds?” is designed to get you to forget about other alternatives, such as real estate, life insurance, investing in a business or alternative cash flow vehicles. This is a problem because it increases your risk! 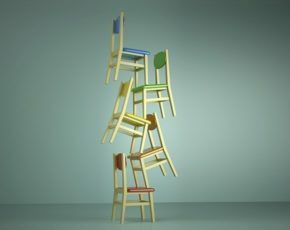 The Foundation: Your chair needs to sit on something! What should your foundation be? Virtually all advisors will tell you that you should have an emergency fund (even before investing), and savvy investors won’t neglect the need for protecting their assets and their loved ones. plus a guaranteed, permanent, death benefit that transfers (usually) tax-free to heirs. Steady Growth Vehicles. While many people look to stocks for growth, the big problem with stocks is the roller coaster ride of the stock market. We want our clients to invest in a growth vehicle that will grow steadily regardless of the economy, the market, or other changing factors. Life Settlements are an excellent choice for steady growth vehicles. They represent the secondary market for life insurance policies, which can be bought and sold much like a deed of trust to a property. They rely on actuarial math rather than speculation and have proven to be immune to market swings, housing crashes, low interest rates and virtually every kind of economic downturns. Private Lending. Many investors make the mistake of focusing on accumulation but ignoring cash flow until they try to retire or cut back at work, only to realize that they don’t know how to turn their assets into income! The oldest and most reliable investment model for generating cash flow is private lending. This can include real estate bridge loans, fractionalized real estate investments, peer lending, land leases, and more. Contact us to learn about the advantages of being a private lender. Real Estate. This means a home to start, as it’s virtually impossible to build wealth dumping money down the rent drain. Then it can include investment real estate such as rental homes, apartments, or commercial real estate. Investment real estate can (and should) produce cash flow, while also allowing you to build liquidity or equity, perhaps even enjoy the property yourself seasonally. Real estate can also offer potential tax benefits such as mortgage interest write-offs, depreciation deductions, and shielding growth from capital gains taxes (in certain circumstances and up to certain limits). Business Investments. Putting your own expertise to work creating your own source of income is a fabulous way to diversify! While perhaps not for everyone, many more people have obtained wealth through business ventures than through working a job and making typical investments. A Stock Portfolio. Many of our clients come to us with mutual funds and a stock portfolio already. Although we would never recommend the majority of your assets to be in the stock market, there can definitely be a place for equities.Stocks, mutual funds, indexed funds, ETFs, etc. are also assets that many young investors will get started due to the ease of investing when you don’t have lump sums required for some other investments. Low-cost options make it simple to start investing with as little as $50/month after you have established your emergency/opportunity fund. Precious Metals. Some clients desire precious metals in their portfolio, perhaps as a hedge against the dollar. Even with a traditional investment such as gold, be aware that it will lock up your money in an asset that can’t produce cash flow while you have it. Digital Hedges. Some people enjoy speculating with bitcoin and other cryptocurrencies. This requires great caution as this is a volatile and speculative asset! If you enjoy living and investing on the edge, just make sure it’s but a leg of your strategy, and not a big financial gamble. The Seat. A chair is not a chair without a seat! The seat represents cash flow, because cash flow is what supports you and your life—literally! While private lending is especially focused on cash flow, there are ways to convert every leg as well as the chair’s foundation into cash flow that will support you and your life long-term. You are wealthy not necessarily because you have a nice net worth but because you have assets that generate cash flows in a consistent and reliable manner that are larger than your expenses. 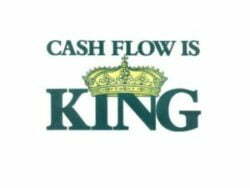 It is indeed true that cash flow is king! The key to generating maximum cash flow is to sequence how you use or liquidate your assets. You can often enjoy greater cash flow—and fewer taxes—by changing your disbursement strategy. But don’t wait to create cash flow, generating income builds confidence and expands your life options. Is it time to balance your financial strategy? Contact us today if you want to learn more about Alternative Investments that would create cash flow for you and If you would like to learn how you can grow a substantial amount of cash that you have access to at any time without penalties, is unrelated to the stock market, and will generate income that is not included in your tax return, visit our website at http://InfiniteBankingSimplified.com or feel free to email us your questions at ContactUs@InfiniteBankingSimplified.com or call us toll-free at 1-844-443-8422.